If this doesn’t work for you please get in touch with us via BlogPad Pro by going to Help > Ask A Question. We have discovered that the bbPress forum plugin is creating issues for some self-hosted WordPress blog users with the latest version of BlogPad Pro (version 1.3). The plugin uses some custom user roles which are unrecognised by BlogPad Pro and means that when you add your blog you have really limited user privileges. You won’t be able to add and upload images, publish posts etc. Now that we’ve become aware of this issue our developer is working on a fix, and this should be ready to resubmit to the App Store soon. Please bear with us, it takes a bit of time to get a new version of BlogPad Pro ready for release as we like to do thorough user testing and we also have no control over how long it takes Apple to approve the new version of the app (although generally that takes about a week if it goes smoothly and the queue of apps waiting isn’t too long). One thing you can try in the meantime is to disable the bbPress plugin. I know this may not be something you want to do, and if the plugin is bundled in with a theme (like for example the Enfold theme) this may not fix the problem unless you temporarily change your theme too. 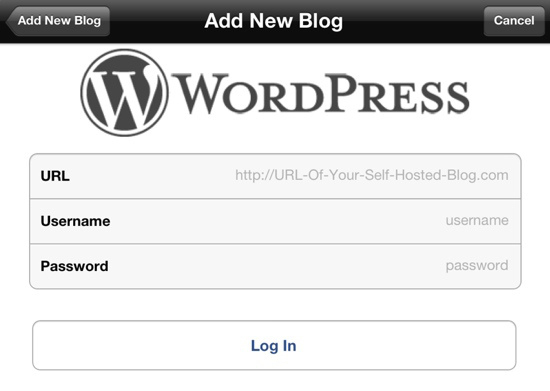 Logging into your WordPress blog using BlogPad Pro is a quick and simple process. If you’re having problems there are a couple of things you might want to check. 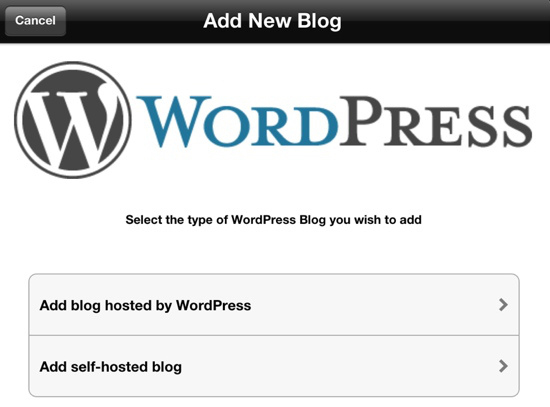 Is your blog WordPress.com hosted or SELF-hosted? Once you have selected the correct option it should be quite simple to log into your account. IF YOU HAVE A SELF HOSTED BLOG and experience a problem logging in, make sure you are entering the right URL (below). NOT the admin or login url which would be http://YourBlog.com/wp-admin/ or http://YourBlog.com/wp-login.php. If have any questions please get in touch, we’re always happy to help! Have you found that your iPad or iPhone has recently started auto-correcting perfectly normal words to really strange ones? This can happen in any IOS app which uses Apple’s built-in auto-correction, auto-complete and spell-checking mechanisms. This includes BlogPad Pro, although we’re currently looking into other options to get around this issue. IOS uses a unique dictionary which ‘learns’ new words depending on the words you use. If you reject an auto-corrected word twice, the dictionary assumes the new word is correct and adds it to the dictionary. This can result in strange phrases and misspelled words replacing proper words. So what can I do to fix the problem? Another option is to reset your keyboard to factory settings. Settings > General > Reset > Reset Keyboard Dictionary. Please bear in mind that this sets your keyboard to default settings and will delete all custom words.